Let’s face it. 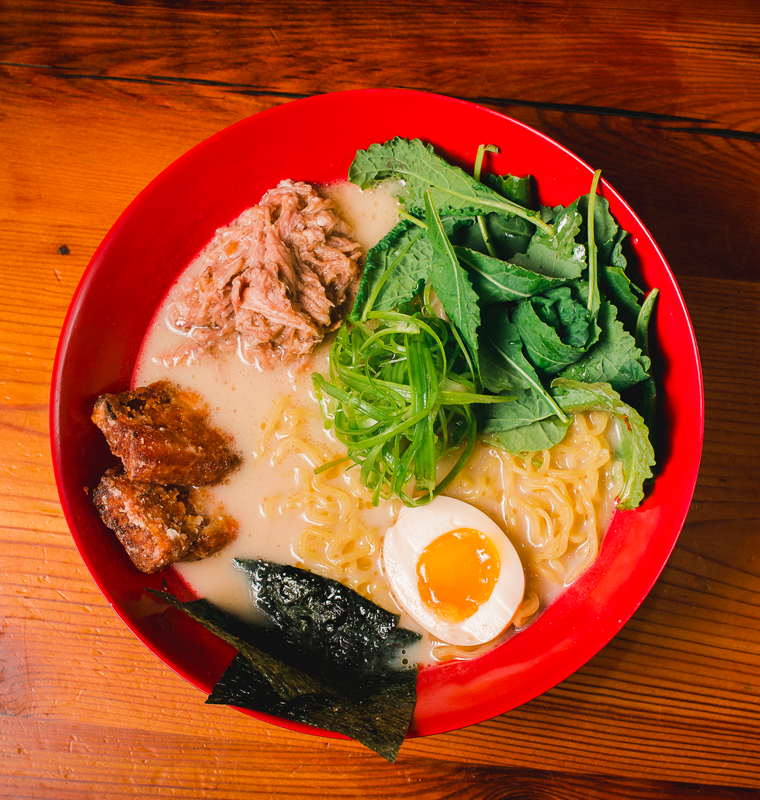 The food at Ejji Ramen is pure umami. 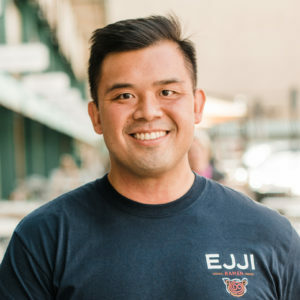 Chef Ten puts a lot on the table (literally), when it comes to whipping up umami filled dishes at the shop, but does he put as much into the dishes he cooks for himself at home? That’s a trick question, of course he does – he’s a chef! He has fun playing with his culinary creativity while in the kitchen in the shop and his home! Let’s take a look at what both Chef Ten & Oscar Lee cook while they’re at home. This is Culinary Cribs: The Ejji Ramen Edition. 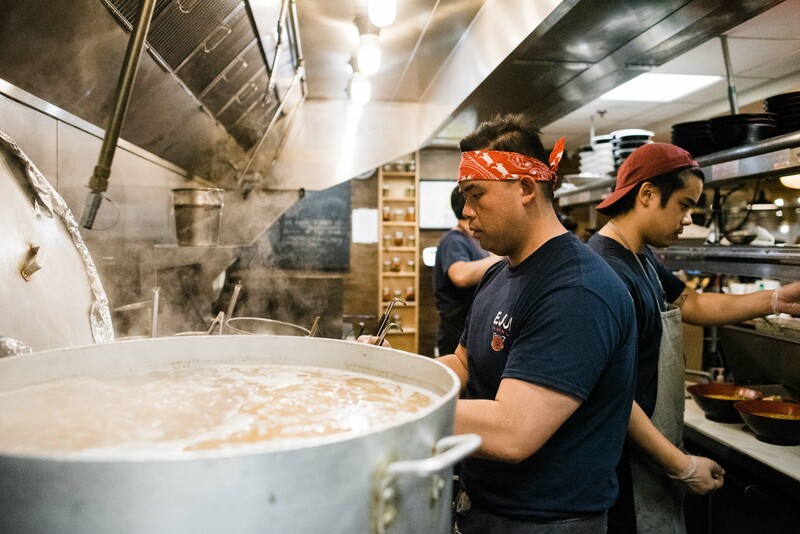 Chef Ten’s favorite meal to eat inside the shop is the Laksa Surfy Ramen, because it reminds him of the familiar spices and flavors from back home in Malaysia. However, one of his favorite things to do at home is cook tasty side dishes using fresh vegetables from his very own garden. He pairs them with a hearty protein, such as a roast beef. Let’s take a walk through the lively garden located right in Chef Ten’s backyard, where he features some of his favorite garden picks, including summer green beans (which he cooked for dinner later that night)! You might recognize Oscar, he’s the guy running around the shop, usually with a friendly smile on his face, but did you know that Oscar is also a culinary ninja? (He got it from his mama). One of Oscar’s favorite meals to eat at home is a traditional Malaysian-style chicken curry dish. Malaysian cooking incorporates a lot of fresh ingredients such as: lemongrass, basil, lime, garlic, and of course, sambal chilis. Spices like ginger, curry powder, turmeric and cinnamon are also common in this dish. Ejji pro tip: Order Laksa broth in your ramen bowl and add grilled chicken breast to get an idea of what a traditional Malaysian chicken curry dish tastes like. All of the dishes featured on our menu were inspired by Mama Lee’s personal recipes. So, if you’re curious to get a taste of what Oscar’s favorite is like, stop on by the shop today!